Most of all, a person with this condition will want you to understand, believe them, and care- so the fact you're reading this site shows that you do and that you want to understand more about their condition, so you can help them. The symptoms listed above refer to POTS but other forms of dysautonomia can be read about on the site too. Read the symptoms so that you are more aware of what your friend or loved one with dysautonomia feels like. All they want is for you to understand and be supportive. I'll admit it, that's a made up word to describe a person with dysautonomia, but the rest of this is true: a dysautonomiac uses three times as much energy as you do just to stand up. When they stand, their heart rate is tachycardic (rapid, over 100 beats per minute) and can increase to 120 beats per minute or more. It is like they are running on the spot all the time and so they get tired more easily and find ordinary things harder than you do. They may need to rest before activities in order to have the energy to do them, and they may not be able to do everything they'd like to. After activities that involve a lot of standing or walking, they may be very tired or otherwise symptomatic (dizzy, aching, nauseous, etc) and may need to rest in order to recover. The dysautonomiac is generally not a 'morning person'. But it's NOT their fault and they are NOT lazy! They are at their worst in the morning. This is often because they haven't had fluids all night, and people with dysautonomia often dehydrate much faster than other people. The dehydration can cause low blood pressure and dizziness- and as soon as they stand up, their heart rate races which makes them feel even worse. They often need time to wake up gradually, and to stay laying down if they can for a while before getting up. It helps them if they drink around a pint of water before even getting up out of bed, because it temporarily raises blood pressure and can help counteract the dizziness. They get 'brain fog' but they are NOT 'stupid'! Due to lack of blood flow to the brain, they can suffer at times with a mental impairment known colloquially as 'brain fog'. It often gives them short term memory problems- so simple tasks such as remembering to pick something up that they need or ordering drinks at the bar are made much more difficult. You can help them by reminding them of things they need or writing things down for them, and being patient if they do forget something- they are not stupid- and often this symptom can be frightening and frustrating for them. They might say "it's part of my condition" a lot- that's because the ANS controls a LOT of body functions- so a lot can be going wrong! If you think you're fed up of hearing that, put yourself in their shoes and think how fed up they get actually LIVING with all of what's going wrong! As dysautonomia literally means a disorder of the nervous system, they can and do get other symptoms (because the nervous system controls everything in the body), many of which seem strange and can be hard to understand. The best way you can help them is by accepting them when they are at their worst as well as when they are doing well. This might mean accepting that they are not like themselves sometimes due to the symptoms being experienced. They might be more quiet, withdrawn or even sad. The worst thing you can do is say things or act in ways that make them guilty for being the way they are- they can't help it. If they are tired, don't put pressure on them to be active or energetic; if they are withdrawn and need space, don't take it personally. Dealing with the physical effects of dysautonomia can be draining on the emotions so they will appreciate you being supportive in any way you can. Exercise can be difficult- they are NOT lazy- it's just a lot harder for them! They may never be able to engage in any strenuous exercise such as running. They have to adapt to life at a steadier pace and often- particularly if they were sporty and active before- this can be upsetting for them. It helps to have the support of people who understand their limitations and don't make them feel bad about it. Often they WANT to do something but know that if they did, they'd feel very ill and may ‘pay for it‘ for a long time afterwards, and so they have to say no. This can be painful for them emotionally, so praise, encourage and support what they CAN do rather than bemoan what they cannot. They suffer with poor circulation and their body temperature regulation is often faulty. This means that they can become colder in the winter than other people, but equally can overheat in the summer. Both conditions (being either too hot or too cold) can worsen their tachycardia and other symptoms. They might not sleep very well... or may need to sleep a lot more than other people. Sometimes, sleep can be a problem for them. 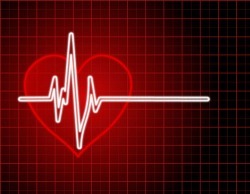 There are times when they can get 'resting tachycardia' that is, a fast heart rate (100+) despite laying down. This makes it hard for them to feel relaxed because the body is in 'fight or flight' mode physiologically. Also, because their circulation is poor, they may need to shift positions a lot due to limbs going 'dead' or getting pins and needles. The nervous system also controls the regulation of sleep patterns, so insomnia is a common problem. Any changes to normal sleeping patterns (such as going away on holiday and sleeping in a strange place, or environments that are too hot/cold or noisy) can cause poor sleep for them. They might not want to be around you when you've got a cold or other common illness! When they get simple illnesses such as the common cold, it can exacerbate all their symptoms and make them feel much worse. They need patience and kindness at such times as they may not have the energy to do much and can suffer with forgetfulness and get muddled up about things easily. They are the expert in their own body and their own symptoms and condition. Believe them. The condition is so little known by even many medical professionals that they can have a hard time getting the right treatment that they need for their quality of life. You can help by listening to them and remembering that no matter what the Doctors say to them- THEY are the expert in their own body and THEY know what is right with it and what isn't. Give them support by listening and validating their feelings as one of the most emotionally draining aspects of dysautonomia is having been seen by so many Doctors who didn't believe anything was wrong. Even once something IS discovered to be wrong, many regular Doctors lack the right amount of knowledge about the dysautonomias, so patients can be offered treatment which in actual fact could make them WORSE. People with dysautonomia therefore are often very self educated in the condition, because they have to be for self preservation. If they feel their Doctor/specialist is not knowledgeable or supportive/understanding enough, support their efforts in finding a new one- this is often the very best thing they can do, as once they find the right treatment, the condition (although it's never going to be 'cured') can be better managed and quality of life improved. The best thing you can do for someone with dysautonomia is be understanding about their need to live life at their own pace. Symptoms can vary from week to week and even day to day, and some days if they are very tired, resting is the best thing for them. Pushing themselves to do things despite symptoms can often make the symptoms worse. People with dysautonomia are not weak- in fact they are very strong people who have learnt how to deal with what can be a debilitating condition and who are always having to fight to keep up with society's hectic pace of life. Encourage them when they want to be active; be patient, supportive and understanding when they cannot. They are only human and sometimes they will get upset and frustrated- but often try to bottle it all up due to society being so 'taboo' about health issues. Allowing them to talk about their upsets and frustrations as well as their hopes and new things they want to try to improve symptoms will go a long way towards helping them deal with it all emotionally. Dysautonomia is incurable but the symptoms can come and go, so if the person is going through a bad patch, remind them that it will pass and that you will still be there for them in the meantime. One of their biggest fears is of losing their friends and loved ones due to not being able to 'keep up' or not always being available to socialise/be active. Through the bad times, they just need the reassurance that you still care and will see it through with them to the good times again. Having friends and loved ones who understand the condition and the limitations and who are supportive, caring and encouraging.